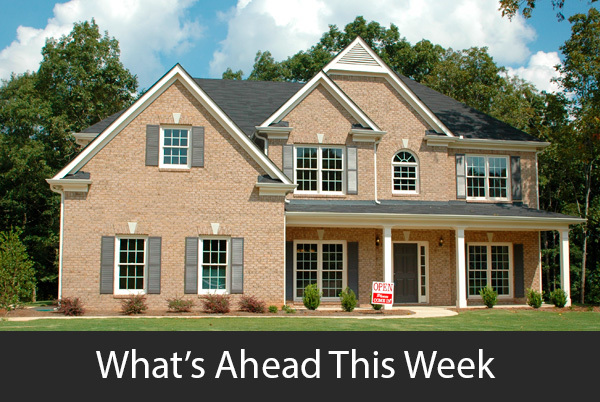 Last week’s economic news included readings from Case-Shiller Home Price Indices, sales of new homes and pending home sales. FHFA increased maximum loan limits permitted for mortgages held or guaranteed by Fannie Mae and Freddie Mac. Weekly readings for mortgage rates and first-time jobless claims were also released. Home prices slowed their growth in September according to Case-Shiller. David Blitzer, CEO and Chairman of S & P Dow Jones Indices, said “Home prices plus data on house sales and construction confirm the slowdown in housing. Rapidly rising home prices have sidelined new and moderate-income home buyers; slim inventories of homes for sale and recently rising mortgage rates also squeezed options for home buyers. Home prices grew at a seasonally-adjusted annual rate of 5.70 percent in September as compared to 5.70 percent during August. September’s reading was the lowest in nearly two years, but remains close to twice the growth rate for wages. Las Vegas, Nevada held first place for home price growth with a seasonally-adjusted annual growth rate of 13.50 percent. San Francisco, California followed with a year-over-year growth reading of 9.90 percent. Seattle, Washington held third place for home price growth with a year-over-year reading of 8.40 percent. The Commerce Department reported s fewer sales of newly-built home in October to 544,000 sales as compared to September’s reading of 597,000 sales of new homes. Analysts predicted a reading of 589,000 sales for October. Home sales slow as winter weather and holidays approach, but higher mortgage rates also caused the dip in sales. Pending home sales are sales where a purchase offer is made, but the sale of a home has not closed. Pending home sales were -2.60 percent lower in October as compared to 0.70 percent growth in September. The National Association of Realtors® reported an October index reading of 102.1 as compared to September’s reading of 104.8 in September, which represented a 2.60 percent decline in contract signings. This was the lowest reading for contract signings since June 2014. Freddie Mac reported mixed results for average mortgage rates; Rates for 30-year fixed rate mortgages were unchanged at an average of 4.81 percent; rates for a 15-year fixed rate mortgage averaged one basis point higher at 4.25 percent and the average rate for 5/1 adjustable rate mortgages was three basis points lower at 4.12 percent. Discount points averaged 0.50 percent for 30-year fixed rate mortgages, 0.40 percent for 15-year fixed rate mortgages and 0.30 percent for 5/1 adjustable rate mortgages. The Federal Housing Finance Agency announced higher loan limits for home loans owned or guaranteed by Fannie Mae and Freddie Mac. The maximum loan amount for conforming mortgages was raised 6.90 percent to $484,350. The maximum loan amount for mortgages in high priced counties will be based on 150 percent of the $484,300, which is $726,525.00. New jobless claims were higher last week with 234,000 new claims filed. Analysts expected 220,000 new claims based on the prior week’s reading of 224,000 first-time claims filed. This week’s economic news releases include readings on construction spending and labor sector reports on public and private sector job growth. The national unemployment rate will be released along with weekly readings on mortgage rates and first-time jobless claims.